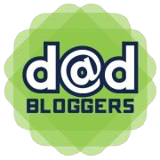 Bewildered Dad is a Yorkshire dad blog featuring the Bewildered Family Guide to Yorkshire, a series of videos exploring things to do with the kids in towns and cities across the county. Welcome to BewilderedDad.com. My name is Jim and I’m a dad of two who lives in West Yorkshire. Along with my kids, Elsa and Seth, I’ve decided to explore this great county (England’s biggest and most magnificent, according to Welcome to Yorkshire, the tourist board). We check out different towns and cities, finding out about all the family friendly stuff you can get up to. We make videos at each destination, and you can take a look at them on this site. Visit the Bewildered Family Guide to Yorkshire page for the full list of guides so far, and keep an eye on the site for new ones.